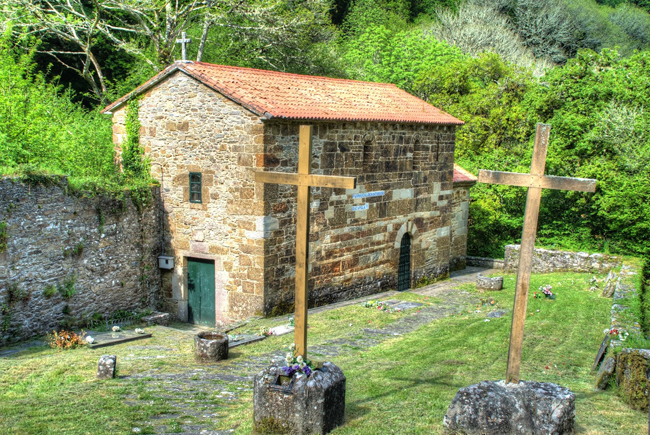 Outstanding heritage constituted by the Pre-Romanesque church, ruins of the old Benedictine Monastery, bell-tower and cross, located in an autochthonous forest where patrimonial elements are joined with unspoilt nature. The church maintains architectural elements of Visigothic and also Mozarabic styles. Inside there is a polychrome wooden calvary, from the 12th century, as well as a wide repertoire of mural paintings dating from the 15th century. It currently functions as a parish church.